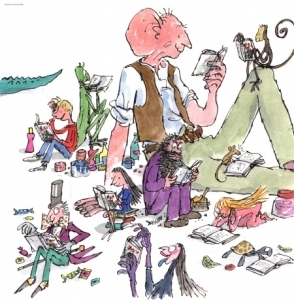 “When Roald Dahl’s BFG (Big Friendly Giant) mixes his words up – when he calls helicopters, bellypoppers, for example – the reader laughs with him, not at him. Many readers assume Roald Dahl’s neologisms (the new words he created) were hilarious literary devices. They weren’t. Dahl spoke of how The BFG was partly inspired by his first wife’s struggle to speak after having a stroke, but Dahl’s ingenious jungling of words probably had something to do with his own complicated history with language, too. Dahl was dyslexic, as are about one in 11 kids in school today. Dahl’s deliberate mispusing of words is ‘in-your-face dyslexia’. How many times, I wonder, was Dahl taunted before he started to use his squaggles as weapons? 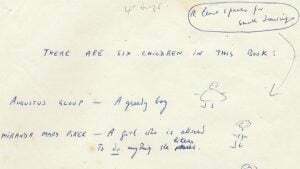 Roald Dahl donated proceeds from some of his book to the charity that became Dyslexia Action. Today, Dahl’s grandson continues to support the same dyslexia charity.